At effraspace, we provide professional and affordable private hire, suitable for corporate, educational and community events. We have a main hall with bamboo flooring, underfloor heating, air conditioning, projector and sound system. This room can fit up to 80 people seated, 100+ standing or 25 in the case of active workshops. 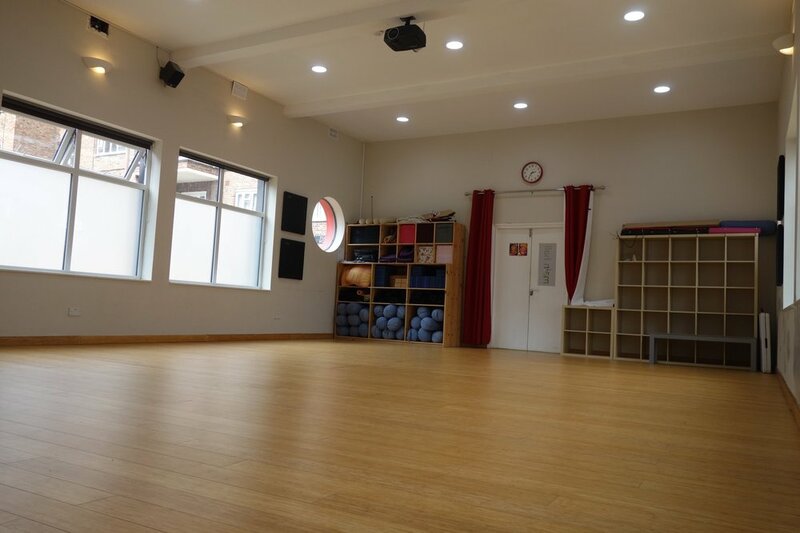 Our smaller studio is suitable for meetings, individual/small classes, workshops and as a breakout space when hired with the main hall. It has underfloor heating, bamboo flooring and air conditioning and can seat a maximum of 25, or 8 in the case of yoga/mat exercise classes. At effraspace we also have a beautiful lounge area with a bookshop, café and bar. We try our best to accommodate each client so get in touch if you have any questions or certain requirements. For further information please email hire@effra.space. To view our terms and conditions please click here. Our smaller studio room is suitable for meetings, small classes and can also be used as a breakout space for larger events. Our main hall is suitable for events, talks, classes and film screenings. It boasts 72 square metres, with bamboo flooring, air-conditioning, underfloor heating as well as a projector and sound system.